3:50PM: Prizes, announcements and bonuses. Staff and Volunteer Awards! 4:15PM: Simultaneous Gift Exchanges, 3 categories: <9 (1), 9-12 (2) , 13 to Adults (3). Drop your gift in the appropriate box: (1), (2) or (3) upon arrival then proceed upstairs for the gift exchanges at 4:10PM. 5:00PM: Santa’s Arrival, gifts & candy for everyone then draw for 50/50 winner. Throughout the Event: GREAT Food! Gently used riding apparel exchange table! Click here to reserve and have fun! 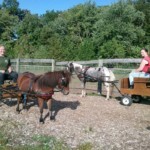 Welcome to the Ponyshare Website! 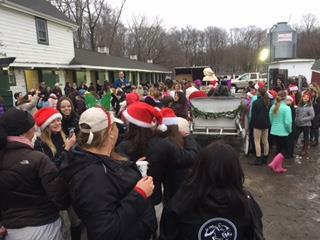 Since its 1985 inception, PonyShare has become the vehicle of choice for the Equine entertainment and educational needs in New York, New Jersey, and Pennsylvania! 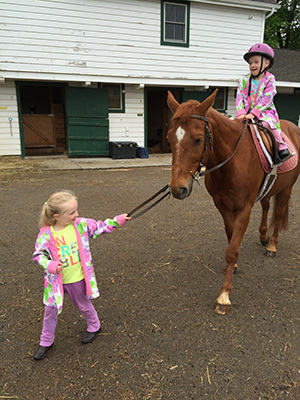 PonyShare has become the premier mobile equine program in the tri-state area, offering year-round mobile programs for all ages. Our summer camp program comes to your town, bringing well-trained horses, ponies, and staff to introduce your children to the world of equines. 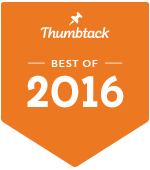 Equishare USA, LLC. relies upon great counselors, instructors, and team leaders to operate our extensive summer program. We also offer year-round mobile programs which can be delivered to your school, recreation department, or local parks (with permission from your town). If you have a background in horses and education, an outgoing personality, and the desire to meet and work with wonderful children, please contact us for employment opportunities. All employees must have background checks and are routinely subjected to drug-testing. Our Fall PEP program consists of a 6-week program starting either Saturday October 27th OR Sunday October 28th, 2018. As Seaton Hackney is experiencing a steady increase in ridership, we encourage you to register early for our popular programs. 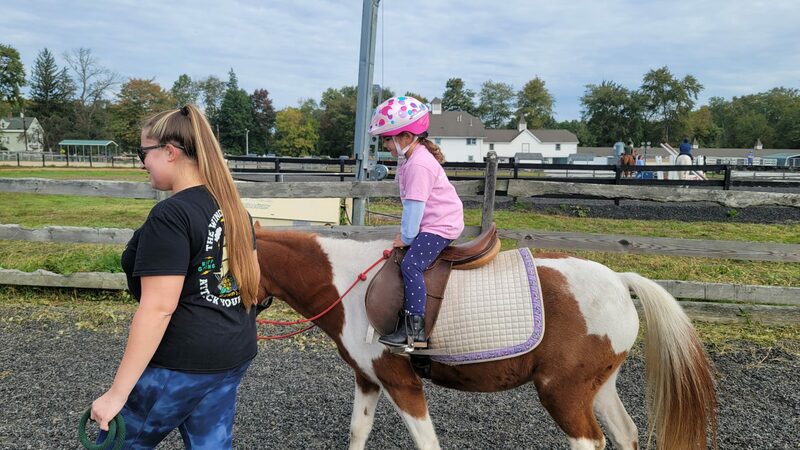 Our volunteer program continues to be a great opportunity for young riders who love horses to deepen their knowledge and understanding of horsemanship, assist others, and defray the cost of riding. Certification classes will be held over seven weeks (RATS) nine weeks (CATS) running 1.5 hours long.